Been diving in Thailand? Please Vote! Thailand is a firm favourite amongst scuba divers of every experience level, and it’s easy to see why. Thailand’s coastline offers unparalleled beauty, warm waters and as many variations in interesting marine life as there are temples in this cultural mecca. There are two main areas where scuba diving is concentrated: the Gulf of Thailand to the east and the Andaman Sea to the west. Each is unique in terms of its diving, rainy and peak tourist season, but both areas offer superb diving and are well worth a visit. 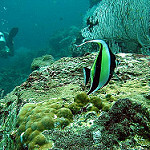 Explore below more details about scuba diving in Thailand. Thailand’s magnificent gulf on the east includes the islands of Koh Tao and Koh Samui, which offer impeccable diving throughout the year at dive sites that are fairly protected from heavy weather conditions. Divers can enjoy calm, gentle currents over the reefs and are often spoilt with sightings of majestic rays and whale sharks at certain times of the year. Notable dive sites include Sail Rock, a phenomenal rocky outcrop that sits 15 meters above the surface of the water, and the underwater walls of Chumphon Pinnacle. 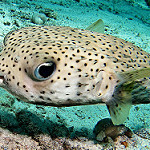 For many, the best dive sites can be found on the west coast, specifically in the area of the Andaman Sea that stretches between the ever-popular Phuket and further south down to Krabi. Popular with novice and experienced divers alike, there are a number of shore dives and wreck dives available, but many of the reef dive sites are reached by boat. Phuket is an island ideally suited as a base for scuba diving enthusiasts with plenty of dive operators along its coast and an array of exotic marine life in its waters. It is also fairly protected and is suitable for diving at almost any time of the year. There are rocky and colourful coral reefs, wreck dives and even a marine sanctuary called Shark Point, known for its concentration of Leopard Sharks. For those looking to experience a little more of a challenge, there are a number of sites surrounding the Similan islands that are well-worth hopping on a liveaboard to visit. In contrast to the relatively calm conditions around Phuket, Richelieu Rock is an exhilarating wall dive that will not leave you disappointed. 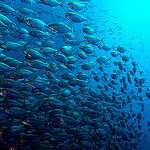 Thailand boasts a whopping 26 National Marine Parks which means that all of the dive sites are well-protected. There are even a number of eco dive sites and companies focusing specifically on preservation of the most-dived areas, which is great news for preserving these underwater paradises for years to come. The world-class diving here takes many forms including cave dives, drift dives, pinnacles, walls and of course vibrant reef dives. Holiday-makers flock to Thailand at all times of the year to experience this exotic and magical wonder, however there is a monsoon season to be aware of and this differs depending on your location. The Gulf of Thailand experiences typical tropical weather throughout the year, with the rainy season running between September and November and the most popular time for tourists being in December, January, February and March. Tourists gather in the Gulf of Thailand again in July and August, so a diving holiday is best between the months of May and June to avoid the crowds. Air temperatures remain fairly constant at 28-32°C and the water remains in the region of 29°C, which makes for pleasant diving whenever you choose to visit. The west coast also experiences a tropical climate with a longer rainy season that runs between the months of May and December. 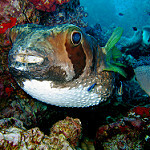 The rain falls especially hard between June and October, making the best time to visit this region in the drier months of January to April, however many divers still choose to visit during the rainy season as the rainfall tends to appear in quick, refreshing bursts at the end of each day rather than a full day of rain. Water temperature is still pleasant at 29°C and the air temperature can vary between 25-32°C. Generally no, it doesn’t. 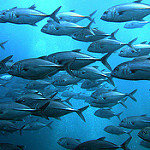 The Oceans of South East Asia are by far the most bio-diverse waters of the planet. The waters are literally teaming with bizarre and beautiful aquatic life. Obviously some of it is potentially dangerous to the man in the water then? Nope, not particularly, divers are in fact probably the safest water users out there – primarily because we can see and interact with what’s around us, and avoid the nasties. There are of course jellyfish out there, and typically the ones hardest to spot are the ones with the nastier burn. Great. Fortunately, as you’ll be diving with a mask you can see them, and since you’ll also have a wetsuit it’s unlikely you’ll get burned. Even for swimmers in Thailand the incidence of jellyfish hits is pretty low, even with all that bare flesh and no idea what’s around. There are also toxic fish about, with Lionfish and Stonefish being the main protagonists. Lionfish are wonderful; you’d have to be blind to miss these peacocks of the sea. They are garishly striped, bug-eyed beauties, sporting feather-like fins like with poison tipped quills. The lionfish family use their unique colouring and spread fin displays to tell you to stay away, so no problem there. The Stonefish unfortunately use their fins as a means of camouflage, and very good at it they are. It takes a very practiced eye to spot these nasty little buggers, so your best way to avoid an “unbearably painful” encounter is to follow safe diving practices and not touch anything. We’ve all seen and probably been scared pantless by it, but it’s all very wrong. Even though, to his good credit, Peter Benchley has said he wouldn’t have written it had he known the damage it would do to the reputation of sharks, most people who come to Thailand still have the “Jaws!” image of sharks firmly embedded, “Kill them before they kill us!” As most divers are happy to attest, this is just plain ignorance. Sure, it sounds great when you go back home and casually announce to your friends at the pub that you were, “Diving with Man Eating Sharks in Thailand”. Impressed they may be but fooled also, because the sharks here are not dangerous. White tip, black tip, leopard , nurse, gray reef and if you’re really lucky whale shark are the ones you’ve likely been swimming with. Most of them look the business for sure, what shark doesn’t, but they are all safe if treated with respect – i.e. don’t try to play air guitar with them or grab their tails for a ride and you’ll be fine. Thanks mainly to shark fin soup, but also to the “best shark is a dead shark” image, the devastation of all shark species is mostly ignored. Shark finning is a barbaric practice – after being hooked and gaffed onto the boat, the sharks fins are sawed off before the agonized shark itself is thrown back into the sea to drown. Not nice. Over a hundred million sharks every year are slaughtered like this, and in case you’re wondering – over the last 100 years on average less than ten people per year have been killed by shark, not very fair odds. Since sharks are very slow to mature and reproduce, their existence is very much under threat. DO NOT EAT SHARK in the form of shark fin soup or as a steak from a seafood restaurant and, please, boycott any restaurant that sells shark meat. The Real Threat To Your Safety… Well that would be you. Be careful, learn properly and treat all sub-aquatic life with respect and you should have great fun and a very memorable experience. Take risks, try to take an animal for a ride, get drunk, stoned or otherwise chemically enhanced before you go diving and you’re asking for any trouble you may get. With the rapid increase in diving as a sport over the last several years in Thailand as well as a more positive interest in the environment, a realisation of the amount of harm being done to the oceans, reefs and wildlife in the region has come about. With rampant commercialism and the strains of burgeoning tourism, some untreated waste undoubtedly ends up in the seas around Thailand, and therefore also inside the fish. These toxins work their way up through the food chain to the top predators like barracuda and shark, Ciguatera food poisoning is the result, extremely nasty stuff and often lethal, so don’t eat it. Do not buy, collect or damage coral or any other tourist trinket derived from the ocean, including the blown up puffer fish mobiles. Leave something for the people who follow you to enjoy, and enjoy doing it. Thailand’s main transportation hub has always been Bangkok, however there is now an entire network of domestic and international travel options including airports in Krabi, Phuket and Ko Samui, which makes things much simpler for divers to get straight into experiencing all that the waters of Thailand have to offer. With over 2000km of coastline, choosing where to stay in Thailand can be difficult. Many divers choose to make the most of their diving holiday by opting for a liveaboard trip which is especially worthwhile if you plan to dive at some of the more remote locations. If you’re looking to experience more than just the magical underwater world during your stay, a dive resort on the popular island of Phuket might be the right choice. With Phuket being such a popular destination for all types of visitors, some divers choose to stay in regular non-diving lodgings and make use of the many diving operations to arrange their dives. Koh Tao in the Gulf of Thailand is hugely popular with diving holiday-makers due to its easily accessible location nearby Koh Samui airport. Feeling inspired and raring to go? Check out our Thailand travel guide and start planning your next diving trip! When is your next trip to ko losin? What is the cost? 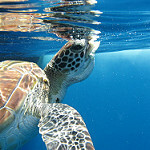 I’m interested in Similan Islands, Koh Bon, Koh Tachai and Richelieu Rock. Are you still running this itinerary? Hi, When are your trips out of Songkhla? I would like more information. I’m coming October 11-16. Can you advise me about costs for diving (I am a PADI Recreational diver). I’m traveling alone, want advice as to reasonable, safe, quiet accommodations. October is a good month to dive the Andaman sea: for a uiet and safe destination, you could go to Koh Phi Phi or Koh Lanta and dive from there. If you want to experience the best diving in Thailand, then you could join a liveaboard from Phuket or Khao Lak going for a few days to the Similans and Surin Islands. Thailand is safe for sole female travellers. Happy bubbles! Its a private yacht based in Phuket with British Flag (Turks Island). Cr using area is South East Asia. Kindly send me an application form by email. I require third party insurance for cruising yacht for Thai and Malaysian waters please. I am a representative of the New Heaven Reef Conservation Program on Koh Tao and its Koh Tao Turtle Identification initiative. This initiatives purpose is to acquire data (Photos of both sides of face, dive site, behaviour and date) construct a database of all the resident and transient sea turtles (Hawksbill, Green Sea, Olive Ridley) in the Chumphon Archipelago, from this data we can understand their behavior, movements, and use this to better protect them. Since the projects inception a little over two years ago, we have identified 72 different individuals. All photos given to us will be used solely for the purpose of research and conservation and not for any commercial benefit. If you are interested in assisting in this project, it would be appreciated. Hello! Can you please tell me if you sell PADI divemaster crewpacks with the hologram, and what the cost is, please? (just crewpack cost, without course). I am leaving tomorrow, so if you can reply asap, i’d appreciate it. Thank you. Please send me more information and photographs on the Brent Swain Origami 31 Cutter. Also, is this vessel US flagged; if not, where? Thank you. We are 3 persons from Norway wich want to do some salt water fishing 15th or 16th of March. What are the possibilities for the dates, and what are the prices? I just want to check if open water course in included diving insurance or should I have to purchase it my own before buying the course. WE look for location of Nok Talai for one day, we are 8 people with skipper. It is possible ? How much does it cost ? Hi I’d like to get a quote for yacht insurance for a yacht I’m looking at in Langkawi. It’s a 40 foot steel round bilge Adams with the center cockpit. Looking for insurance in Malaysia and Indonesia . Hello! This is Elsa from ANewPow which is located in Taiwan. We are the supplier of electric underwater propeller designed for divers which is called AquaJet Dive H2. We’re looking for dealer. Please provide email address of relevant department that I can send our product specification. we are coming with the costa cruiseship to phuket on 25th of November to 26th of November. we would like to do a tour to phang nga bay. Do you have any trips to offer for two adults and a 5 year old boy? We would like to know if it is possible to book the Schnuckelputz (with crew) for 4 days from the 8th morning to the 12th afternoon ? What is the price and what is included ? Hi, I’m interested in the trip to Losin to search for seaweeds, but I cannot find the dates on the dive calender. Greetings. I am interested to charter a Tiki 30 for 3 days on December 8,9,10. Can you please give me the details? Thank you. do you have join in cruise available during our stay in phuket between the 12th and the 22th of january ? Hello, I’d like to ask for a quote for thord party insurance as required by Malaysia immigration bureau for my sailing Yacht berthed in Langkawi (Rebak island). I would like to know if you have arrangement for diving in Hat Yai? I am looking at 1 to 2 dives preferably in the morning. Looking for a 3 class (third party only) boat insurrance for my 19 ft smartliner cuddy. I am currently offering for sale my huge trimaran. The vessel is ideal for a client looking for a big cruising vessel or to expand/start a tourism business. For example, this would be the largest multi-hull operating in Thailand. It is a 70 ton vessel and can easily be reconfigured to carry dozens of passengers seated at tables. Alternately, it is a prime candidate for luxury make over for luxury cruising along the lines of Long Ranger in Singapore. I currently have an exclusive agreement with another brokerage company, however, we are able to share/work an arrangement should you find a buyer. To get an idea of what the vessel looks like, please ask. The vessel is currently in Langkawi after completing a recent sail from the Philippines. Note: I am the owner and will consider partnerships and trade if the vessel is smaller. I am currently looking to downsize to a smaller vessel.